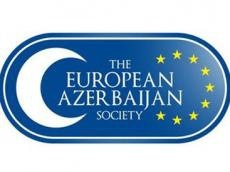 The European Azerbaijan Society (TEAS) welcomed a statement from Baroness Catherine Ashton, High Representative of the European Union (EU) for Foreign Affairs and Security Policy regarding the Armenian-Azerbaijani conflict over Nagorno-Karabakh. Mr Cook said that today`s EU statement was in line with the unequivocal condemnation by the EU of all previous `elections` in occupied Nagorno-Karabakh. He said that four outstanding United Nations Security Council resolutions have stipulated that Armenian troops should leave Nagorno-Karabakh and the seven surrounding districts, which have remained occupied for almost 20 years.